I was watering the one of my enormous catmints today (Nepeta six hills giant) and spotted (no pun intended) what seemed to be a blue spotted bee. 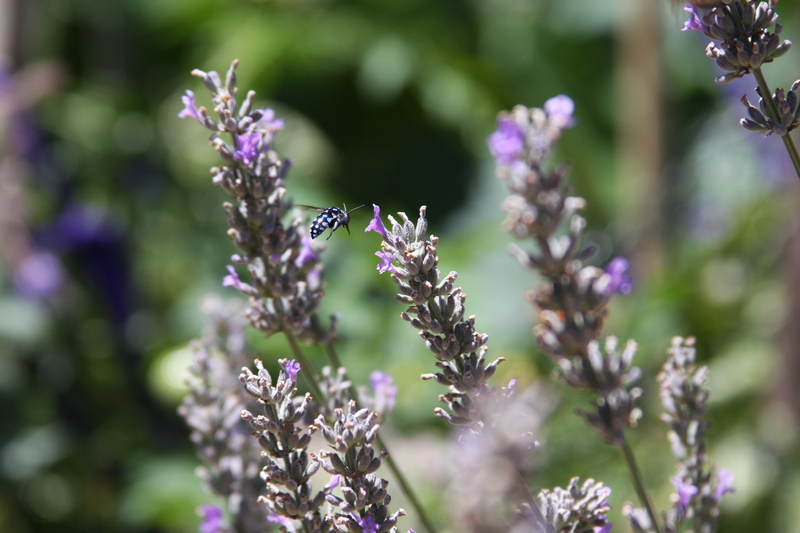 I followed it for a bit till I could get a closer look and there it was, a bee, black with bright blue spots and buzzing around the catmint with the other European honey bees. I was torn between trying to follow it around and at least count the spots so it could be identified vs running inside, grabbing the camera and calling the other girlfriend to tell her I HAD SEEN A BEE WITH BLUE SPOTS! 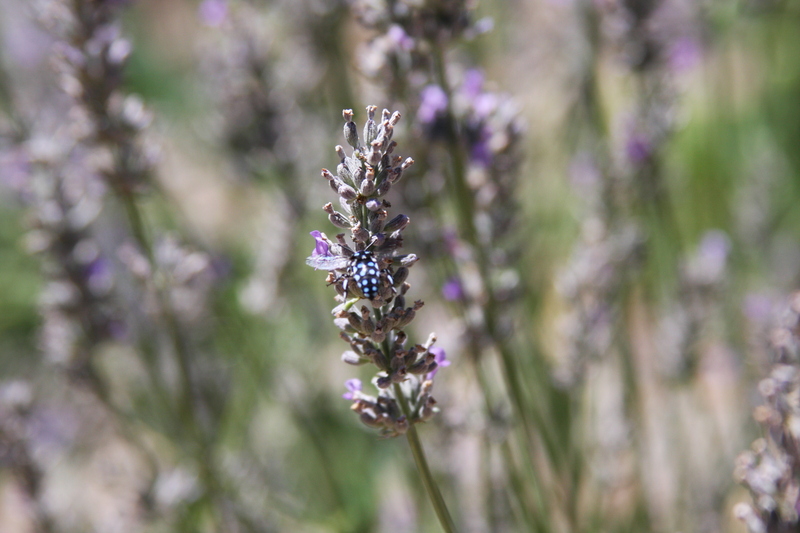 Since then, I’ve seen quite a few of these bees (which are native), as well as the blue banded bees that love my lavender and catmint. 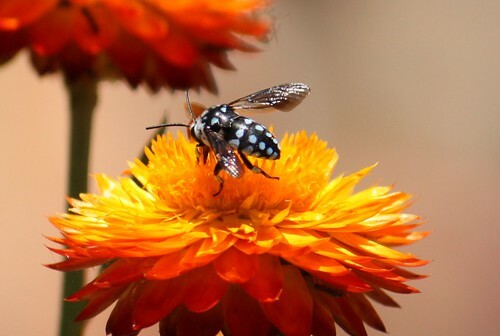 They’re called cuckoo bees because they lay their eggs in the nest of the blue banded bee (as with cuckoo birds) and their larvae eat the food the poor little blue banded bee gathered for her young.